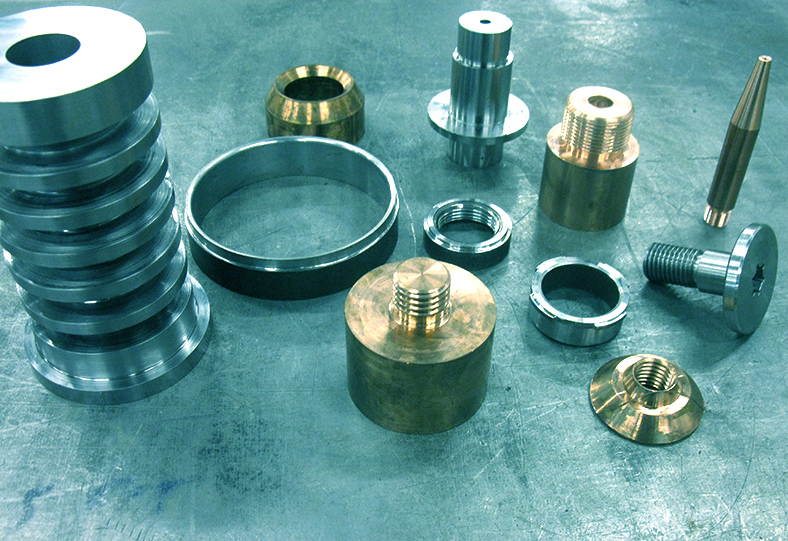 Our machining department can handle both small and large production quantities with precise dimensions. We have strict quality control procedures and are capable of short delivery time at a very competitive price. Equipment : 2 CNC Metal saw, Vertical CNC machining centers, 3 CNC lathes with or without bar feeders, & 3 CNC very high production lathes with 4 spindles each. Some of these machines are equipped with a 6-axis Fanuc robot and run 16 hours a day, turning out thousands of pieces each year. We also have 3 Die Sinker (EDM) and 2 surface grinder for small or large parts. Several punch presses are available to our customers. These may be used to form diverse shapes from raw materials, and to punch simple or complex holes using our large inventory of punching dies to suit our customer’s requirements. Committed to serving our customers’ best interests, we only use material of the highest quality, whether regular or hardened steel, non-ferrous, or plastic that can be milled into any shape or form.